So more Canadian New Age Trance from Delerium with this set of mixes from 2001. Featuring Australian singer Rani Kamal these mixes came out on the Nettwerk label. Above & Beyond, Rank 1, Hydrogen Rockers (AKA Dirty Vegas) and Mauve all join in the party. It’s all Trance and uplifting, hands in the air stuff. The Mauve mix is my favourite , slightly tougher and darker. A solo side project from Frontline Assembly’s Rhys Fulber from 2003. 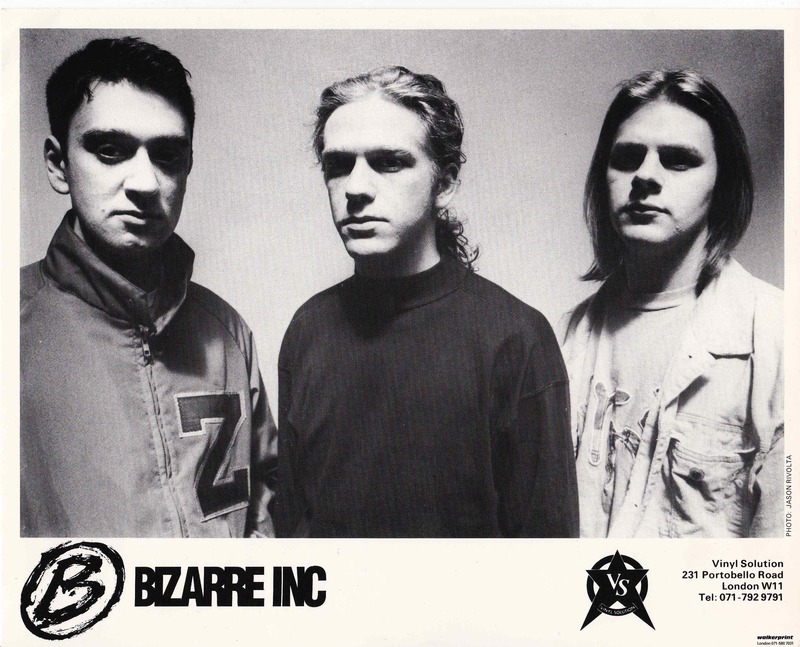 Him and fellow collaborator Bill Leeb have produced a whole blogs worth of stuff if you consider their Delerium project and all the releases FLA have had over the years. This was from 2003 and beefs up the original in a couple of trance remixes. Anne “Annie” Decatur Danielewski (POE) has an excellent voice however it does get a little extra studio treatment and fans of the original will hate it. The “29 Palms” mix is my favourite slightly synth pop. The “Junkie XL” cuts out most of the verses and works as progressive house track, keeping the atmospheric guitars. From 1990 and the name checking, pre rave loveliness of The Beloved. All whispery vocals and indie dance backing (sounding like EMF ripped them off on “Unbelievable”) Jon Marsh and Steve Waddington brought out the wonderful “Happiness” album from which this was the lead single. Wiki has a great article here about the single and all its numerous and topical references. 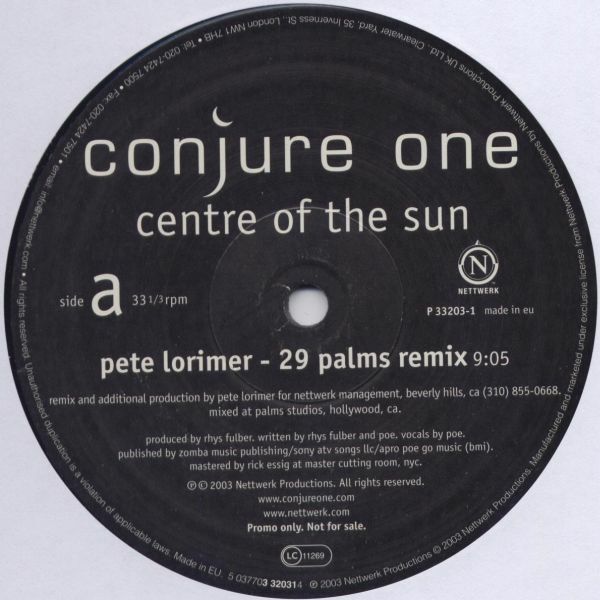 Going back to the Youth connection here is a classic from 1992 with Steve Hillage (he was in Genesis y’know) and Miquette Giraudy (Gong) giving it tribal trance with guitars. Very long and very beard scratching, there is a lot going on here and reminds me of “Digeridoo” by Aphex Twin. Youth does the “Conspiracy Mixes.” The “Double Edged” Greg Hunter mix is a very deep slice of Ambient Tribal Techno. Recorded this without Amplification , so as it is on a pristine piece of vinyl. I know, I know it is a bit of a curve ball. I like doing things different, I like to mix it up! So a rare (I think) slab of single-sided vinyl from Euro Dance act Lasgo remixed by DJ Shog in the best Eurotrance tradition. I have a guilty pleasure I love their track “Something” a perfect slice of synth pop! Agree? From 1991 and a bit of an old raver from Bizarre Inc. Dean Meredith , Carl Turner and Andrew Meecham released this before “Playing With Knives.” A similar style, basic synth hooks and breaks and a signature sample. “Such A Feeling” takes the vocal from Aurra -” Such A Feeling” whilst B-side “Raise Me” features vocals from Siedah Garrett – “K.I.S.S.I.N.G.” as a break from the big synth. “Frenzy” is was it says on the tin!